Speak Schmeak: Are you canned or fresh? 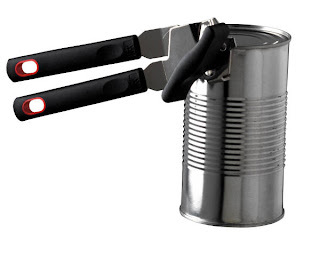 Are you canned or fresh? We can talk all day about logistics, like notes or no notes, lectern or no lectern, PowerPoint or no PowerPoint, props or no props. We can talk all day about the fine points of delivery: authenticity, eye contact, crutch phrases, humor, stories and whatnot. But if your content is not relevant to your audience, you are wasting their time. If your content is not applicable to their lives, you are wasting their time. If your content is not based on real, practical solutions and tools, you are wasting their time. When's the last time you looked at your material and asked yourself how relevant and applicable it is to what's going on with your audience right now? Have you researched your audience? Do you know what their concerns and challenges are? Do you know what their strengths are? Do you know what their interests are? If you don't make an effort to learn these things, your content will not be relevant. The audience will not be able to walk out the door and apply the information to their lives. Audiences are not interested in hearing canned, reheated presentations that don't apply to them. They need to know you've made the effort to know who they are. They need a speaker who can give them what they need and want in the real world, not in some theoretical universe where your words sounds pretty but have no practical application. Find out: Who's your audience? Why did they invite you? What do they want? Then deliver something just for them. Deliver something they can use. Deliver something real. I like this article, makes me thing. I'm spending more and more time speaking of late, which is great. What I bring, or attempt at best is to give a real authentic me. One woman told me how different I was, and not to change. I don't want to get a label, or sticker slapped on me, but to tell/share and connect on an emotional state with the listeners. We all (me too) have plenty of plastic faces and canned answers. And we all know a fresh smell when our noses take a sniff, one look and an audience will sniff for fresh -- and decided whether to take a slice or toss us aside. You're right, making it real is extremely important. You can tell when you give a presentation that is relevant and in context with the audience's experiences. The whole atmosphere in the room changes. People are motivated and engaged. This obviously helps render a fantastic, and memorable presentation. So true, Ms. Lucy. The energy in the room changes and you can tell when the audience is engaged. You have to be able to read the audience.